This post was written by QSY director, Leena Miller Cressman. She was rolling out her feet on Yoga Tune Up self-massage balls as she wrote this post! And she’s found rolling especially helpful to keep her hips and lower back comfortable during her pregnancy. Do you remember what it felt like to do you first hip stretch in a yoga class? For many of us, the hips are an area of hidden chronic tension and tightness. The first time we move the hips in new ranges of motion, like a deep squat or a pigeon pose, we are astonished at how much sensation and even discomfort can be there. While releasing tension in the hips can feel amazing, and can help give relief to low back pain and even knee pain, some folks also find that stretching and releasing the muscles around the hips can also release interesting emotions. Thanks to Shakira, we all know that the hips don’t lie. When we do stretches, corrective exercises and self-massage for the hips, we reveal poor postural habits and realize the effects of the hours each day many of us spend sitting. We also sometimes reveal old emotions- such as frustration, sadness, or even bubbly joy- that didn’t have a chance to release at some point in our lives. The wonderful thing about releasing these old emotions through the body and our limbic nervous system (what is sometimes called the “reptilian brain”), is that often we can simply notice and let the old feelings go, and often we don’t need to do much else. It’s a wonderful opportunity to practice being present, and letting the emotions move through us, without needing to judge them, even tell a story about them. 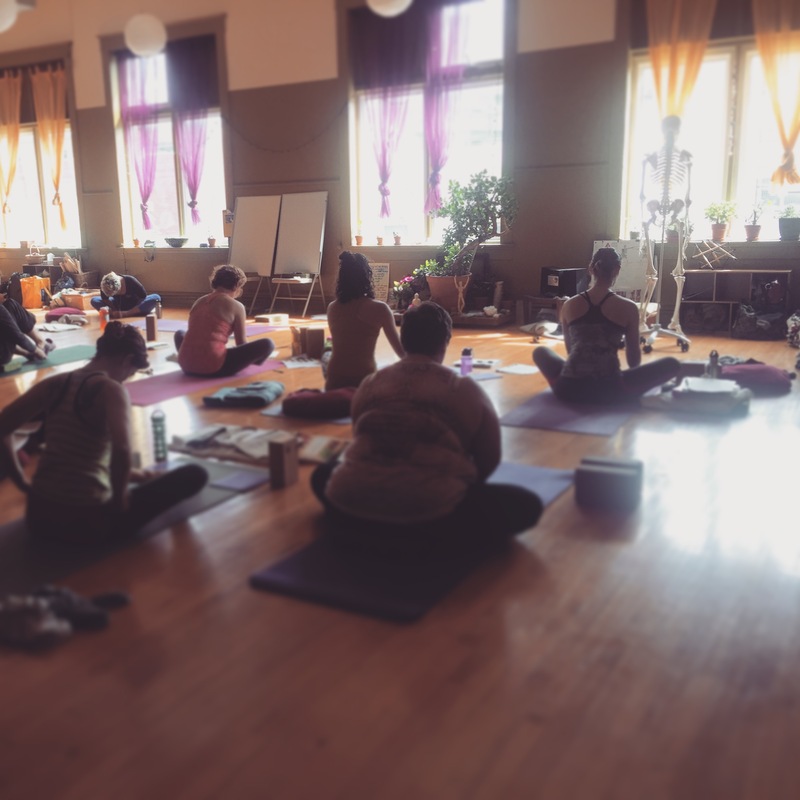 In Tara’s upcoming Yoga Tune Up series for the hips, you’ll gain useful tools for self-care and pain relief and deepen your understanding of proper alignment of the hips and pelvis. You just might be surprised, or even delighted at the truths that are waiting to be revealed in you hips. If you want to get a taste of how fabulous self massage for the hips can feel, check out this video with founder of Yoga Tune Up, Jill Miller. If don’t have a pair of Yoga Tune Up Balls, we highly recommend them, and you can pick them up in the QSY retail store. You can also substitute tennis balls or street hockey balls, but the grip and density won’t be quite as awesome.